My St. Louis bankruptcy clients often tell me about the tactics used by debt collectors in an attempt to get paid. Nine times out of ten the tactics described are illegal under the Fair Debt Collection Practices Act (FDCPA). The FDCPA regulates how creditors can attempt to collect debts. Here is a brief overview of what you need to know about the act. Debt collectors cannot call repeatedly or continuously. The FDCPA considers repeat calls to be harassment. Debt collectors cannot use obscene, profane, or abusive language in their attempts to collect. This is also considered harassment under the FDCPA. Collectors cannot call before 8:00 a.m. or after 9:00 p.m.
Debt collectors cannot threaten action that they cannot or will not take. This means the creditor cannot threaten to sue you, garnish your wages or freeze your bank account if the collector cannot or does not intend to take that action. The creditor, the creditor’s attorney, your attorney, your spouse, your parents (if you are a minor), and the credit bureau(s). Debt collectors cannot call you at work after they are informed that such contact is prohibited by the employer. Debt collectors can call third parties to request information regarding a consumer’s location. Debt collectors must provide notice to the consumer of their right to dispute the debt within five days of the initial communication. Debt collectors must provide verification of the debt within 30 days once a request for verification is received from the consumer. Debt collectors must cease communications once they receive a written request to that extent from the consumer. Violations of the FDCPA can result in the consumer being awarded actual damages and statutory damages. However, a violation of FDCPA does not result in the underlying debt being extinguished. In order to eliminate debt and receive a fresh start, you should consider filing a St. Louis Chapter 7 bankruptcy. Combining the power of the FDCPA and the Bankruptcy Code can allow you to discharge your debts while striking back at collectors who are violating the law. 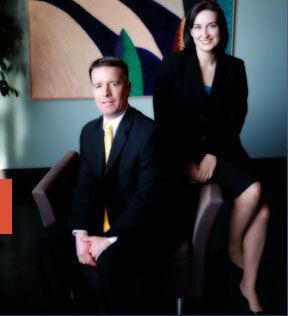 An experienced St. Louis bankruptcy attorney can advise you on both areas of law.